WhatsApp is, without a doubt, the most popular messenger app out there on the market. It is available for Android, iOS, Windows, and MacOS. One great thing is that you can use it on a PC without actually installing it. That is what we are going to learn in WhatsApp Login Online. WhatsApp is mainly used for exchanging messages, pictures, audio and music files, videos, etc. The biggest advantage of this app is that you don’t have to pay anything whatsoever for using its services. There is a special feature in this app which lets you use your WhatsApp Online on your PC without actually installing it on the PC. Let’s see how it is done. Using WhatsApp is pretty easy and you just have to make an account with your number. After you make the account, you can chat with all your friends and family. The only thing you need is their contact numbers besides a good internet connection. Using this app on a PC wasn’t as easy as today some months ago. That is before the release of WhatsApp Web. That way you can use the app on your PC without having to delete your account and making a new one. Earlier, you would have needed Bluestacks and then use the app with the help of it. The process for WhatsApp Login on a PC is explained below. Stick to the steps and you won’t have any issues. Open the app on your smartphone or tablet. Then tap on the three dot menu in the top right corner of the screen. Select WhatsApp Web from the drop down menu. It will open the camera the scan a QR code. Now, open click this link on your PC. 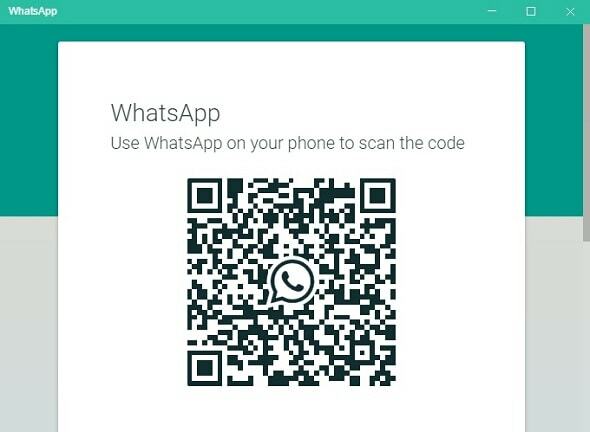 As soon as the site loads, you will see a QR code that you need to scan for WhatsApp Sign In Online. Point your phone at your computer screen such that the QR code is inside the box on your phone screen. The camera will scan the code and do the rest of the work. It will send all your information regarding your account on the PC, and you will see your account on your PC screen. Also, All the chats and everything will be the way you left on the smartphone. 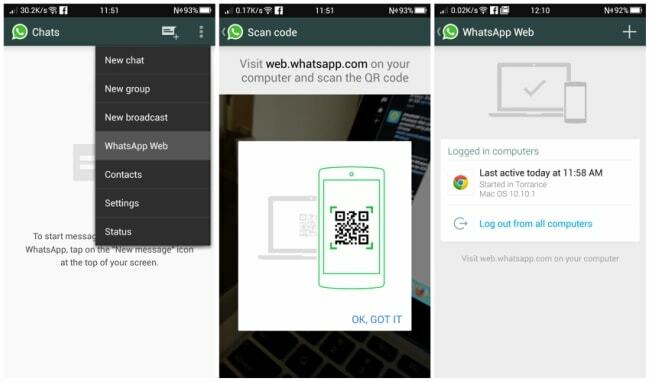 This way, you can easily access your account on your computer with the help of WhatsApp Web. As you can see, there are no tough commands or anything like that. So you don’t have to exert yourself much to do WhatsApp Login Online. There is still another method by which you can access an account on your PC and use it for all the things it is famous for. The above one was not the only method that you can use for WhatsApp Sign In Online. You can use it on your PC by downloading the App itself. But it is gonna be a little different than the previous method but same in the end. We are going to have to download the setup file of WhatsApp Online and then install it. And then you can use it to access your account on your PC. Go to the link here on your PC. This will take you directly to the official website of the app. Once there, you have to select “Download” from the top bar. You’ll easily spot it. Click on it and reach the download page. It will automatically detect which PC you are using and provide you a download link accordingly. Click on the Download link and the download will begin automatically. After the download is complete, you just have to double click on the file. That will start the installation process and you won’t have to do anything else. Moreover, the installation of WhatsApp Login Online App will take only a few minutes. After that, it will open automatically and show you a QR code which you have to scan in a manner similar to the one in the previous method. Once you scan the code, you will have your account on your computer as well as your phone or tablet. This way, you completed WhatsApp Login Online successfully with the help of the computer app. This concludes the discussion on WhatsApp Login Online. We went through two methods to get the job done and it was definitely worth all the effort. Let us know if we need to improve or something like that at Browsys.